The UpRite cover lifter is ideal for limited clearance applications, such as if your hot tub is on a small patio or deck, or under a gazebo. This system allows the cover to fold up behind the spa bar top, requiring just 7” of back clearance and 3” of side clearance. 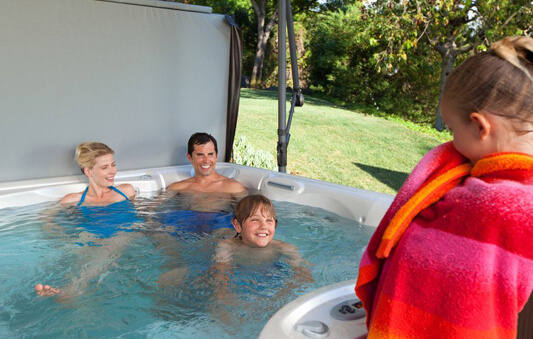 * Not only does the UpRite fit into tighter spaces, it also creates a convenient sight barrier when open, so you can enjoy privacy as you soak in your home spa.